Today we stopped by Two Ladies Kitchen to pick up some mochi. My favorite lately has been the ones with fresh fruit inside. 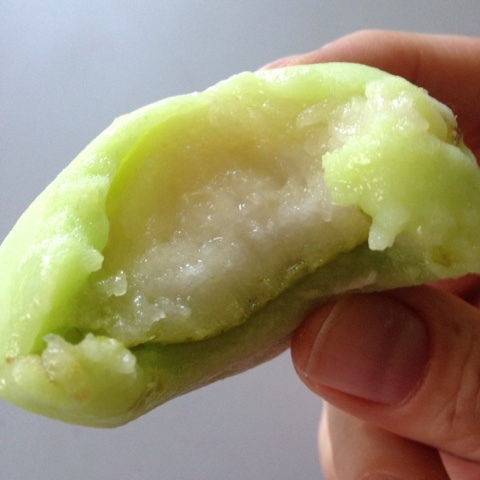 The photo shows bartlett pear mochi (yum). We also picked up flame grape, poha berry, and strawberry. They really make sure the fruit is at the peak of ripeness and because of this, you really have to eat it the same day. It is the best treat. If you stop by for a visit, I'll feed you some.